Dahal vows to take another step if he smells something not right - Integration Through Media ....! CHITWAN: CPN (Maoist Centre) chair Pushpa Kamal Dahal has said he would take another step if something against the interest of the nation seemed to happen. Speaking at an inaugural ceremony of the Mahaboudha Monastery, Tinkhole here Saturday, leader Dahal said he would find a way to move ahead if he realized that the nation was going to face any sort of difficulty. “It will not take time for me to take another move from the position where I am right now if I realize that something not good for the country is going to take place,” he said. 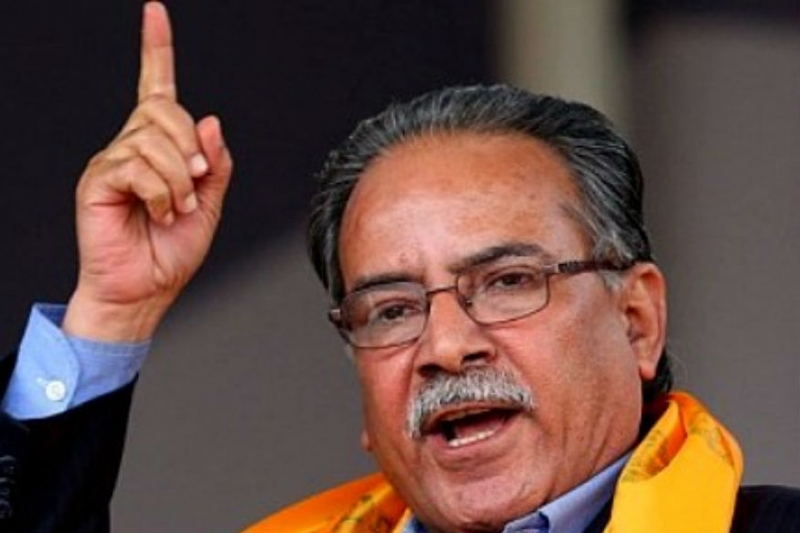 “Now the name Prachanda and the Maoist party itself has been the synonym for a solution to any difficulty,” he claimed. He insisted on the need of a high-level authority for the protection of the Buddhism. According to him, Nepal’s constitution has equally treated all religions, but the scenario is still different. He described the Buddhism as the progressive one. The Maoist Centre chair further said that development was not possible without dialogues and cooperation with the Nepali Congress, insisting on the need of collective efforts towards that end. Minister of State for Education, Sheshnath Adhikari urged a new government going to be formed under the leadership of left alliance to work as per the people’s aspirations. What sorts of Provision is included in Draft regarding the Citizenship of NRN ? Two years ago, it seemed clear to me that a combination of factors would lead to increased calls to regulate technology companies, especially Big Tech giants Amazon,..
www.nepal24hours.com Integration Through Media under Nepal24hours Inc, is a dedicated online news service delivering and Staffed 24 hours, seven days a week by a dedicated staff at its head office in 11843 Elaine Ave, Artesia, CA 90701, USA, its bureau office in Kathmandu, Nepal and in bureau offices elsewhere brings the latest and up to date news service. The online news service is being presently served by 16 news professionals. The online news services equipped with latest media technologies and features the latest multimedia technologies, from live video streaming to audio visual packages to searchable archives of news features and background information. The site is updated continuously throughout day and night from the USA and Nepal equally.